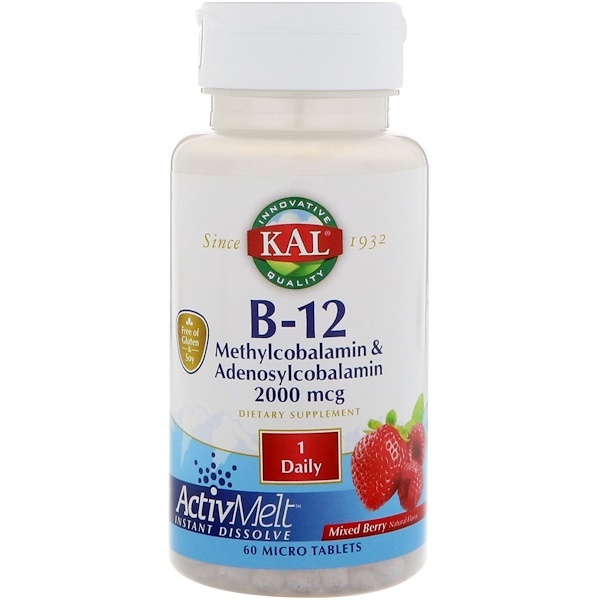 This Kal B-12 ActivMelt supplement provides Dual-Action B-12 from Methylcobalamin & Adenosylcobalamin forms. 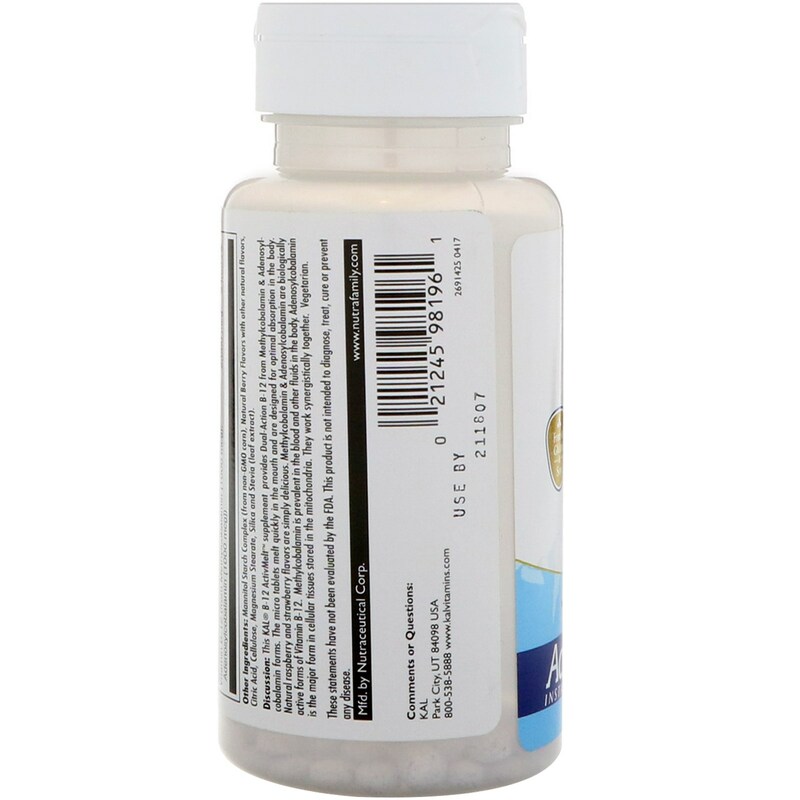 The micro tablets melt quickly in the mouth and are designed for optimal absorption in the body. Natural raspberry and strawberry flavors are simply delicious. 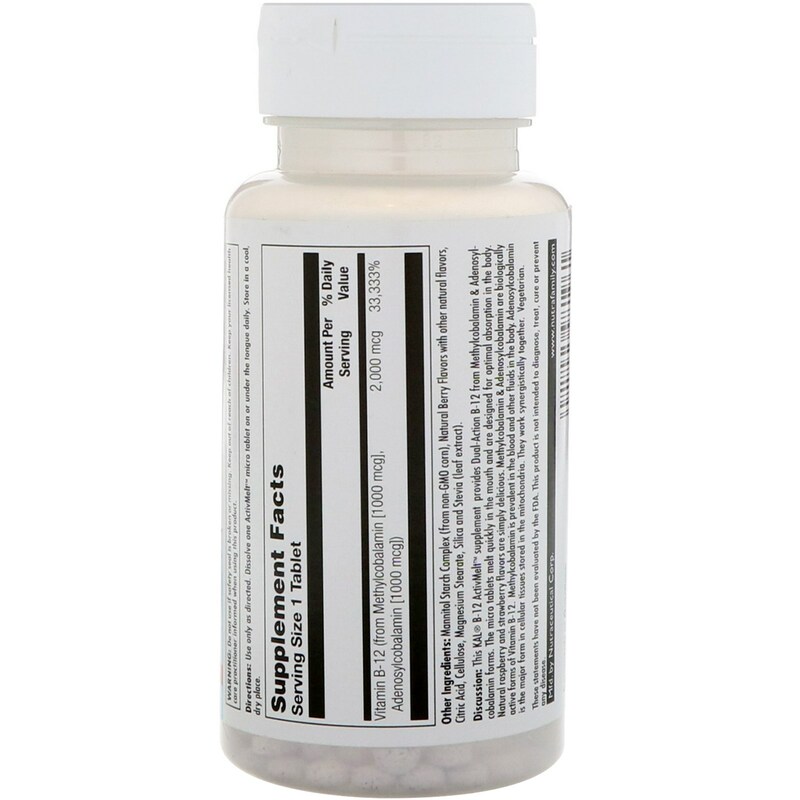 Methylcobalamin & Adenosylcobalamin are biologically active forms of Vitamin B-12. Methylcobalamin is prevalent in the blood and other fluids in the body. Adenosylcobalamin is the major form in cellular tissues stored in the mitochondria. They work synergistically together. Mannitol starch complex (from non-GMO corn), natural berry flavors with other natural flavors, citric acid, cellulose, magnesium stearate, silica and stevia (leaf extract).